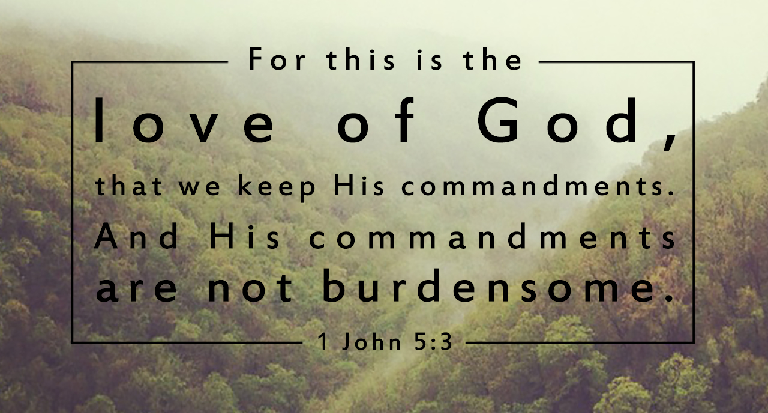 We obey God’s commands because He loves us! Because God loves us and loves us perfectly we can always trust His word. Also, because God created us we can trust that He always knows what is best for us. In giving us the Ten Commandments He’s not trying to take away our fun or our freedom. Instead He’s showing us how we were meant to live. How were we meant to live? We were meant to live in a loving relationship with both God and each other. While there are 10, they really boil down to these two things: loving God and loving each other (Matthew 22:37-40). Far from limiting our freedom and taking away our fun, these commands will bring us life! Imagine how much better the world would be if everyone kept the Ten Commandments. There would be no murders, no thefts, no broken families, no wars. The Ten Commandments lead to a fulfilled life here on earth and more importantly it leads to everlasting life after death. When a man asked Christ what he must do to have eternal life, Christ told him ‘If you wish to enter into life, keep the commandments” (Matthew 19: 16-19).